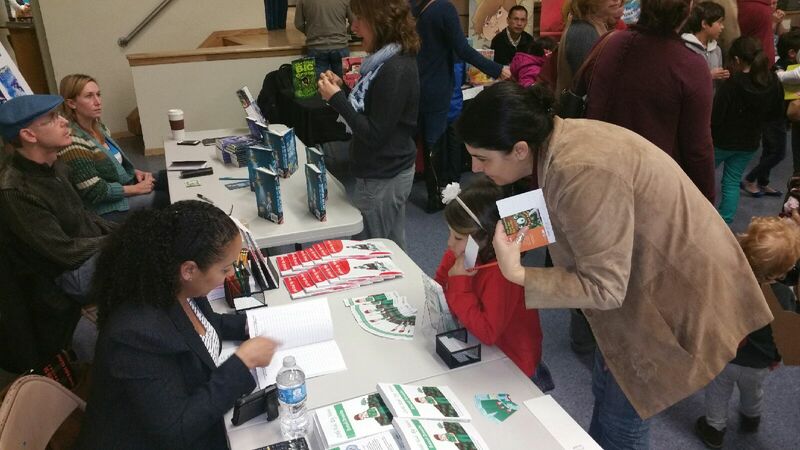 CEO Taneeka Bourgeois-daSilva attends book signing on Sunday, February 22, 2015 at Encino Charter Elementary in Encino, CA. Taneeka spoke to students about the importance of reading and gave insight to why Myrtle Beckle, Broccoli Chronicles’ main character, loves broccoli so much. She was able to connect with parents and other fellow authors to share her love of reading. The event was such a success that the school is interested in doing it again in 2016. Taneeka is eager to showcase her new books at next years book signing. Click here for more pictures of this event.